US customers, buying from Amazon.com will save you postage! When sexual abuse of adults by clergy and spiritual leaders comes to light, religious institutions need robust procedures in place to deal with offenders and support victims. 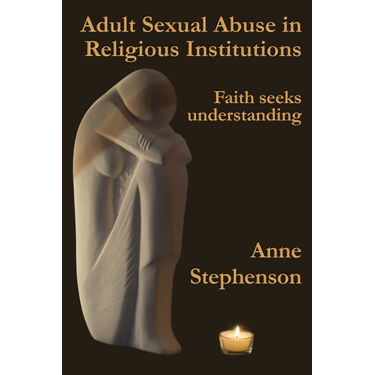 Based on her long experience in ministry working with sexual offenders and their victims, and the training she has undertaken, Anne Stephenson shares the wisdom she has gained. Characteristics of sexual offenders to be aware of. Suggested procedures to deal with offenders and support victims when a complaint is made. The victim should only have to tell their story once, so they are not re-victimised by having to retell their story many times. The police should be involved. Mediation between the offender and victim does not work. Sexual offending in a religious institution is a breach of the duty of care that the clergyperson or leader has towards the victim. As such, it should be treated with the same seriousness as a breach of professional ethics in other fields. A victim can have a good future, (it may be hard won), and be a survivor. 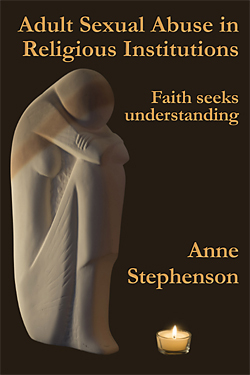 While earthed within the Christian tradition, this book is for all faith communities, traditions and cultures. 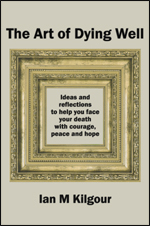 Anne hopes that everyone in the ‘dance of life’ will find something within this book to assist them in their understanding and then take responsibility for their own situation. So what happens when a spiritual leader crosses the boundary line and sexualises the pastoral relationship? 5 — What is the mindset that gets things so wrong? 7 — What is healthy? 11 — How does the person offering pastoral care handle a disclosure? A person has been wounded deeply. You are offering pastoral care. 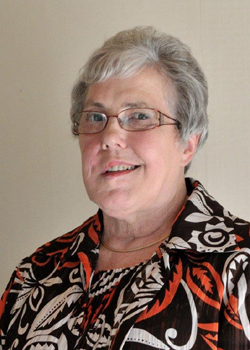 Anne is a retired Methodist minister who lives on the Kapiti Coast. She worked for many years as a registered nurse in New Zealand and Australia. Anne has been a hospital chaplain, and spent 10 years as a coordinator and then the director of industrial chaplaincy in the Waikato. She has had training and experience in working with sexual offenders, their victims and families.